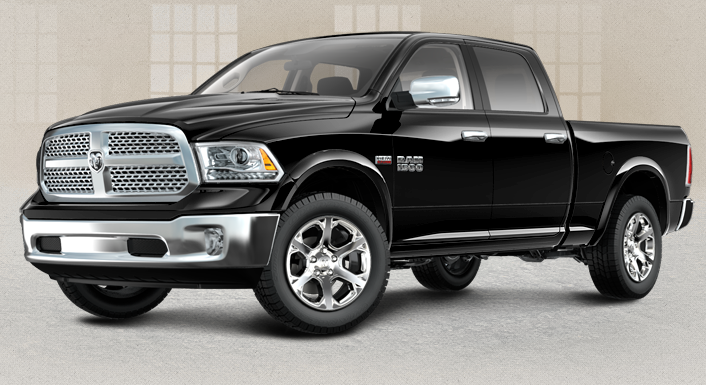 At Davis Dodge, our selection of Ram 1500 is sure to get you excited! Legendary durability and capability combine with advanced features like the Class-Exclusive 3.0L EcoDiesel V6 to give you Canada's most fuel-efficient full-size pickup ever39 and the 2016 Canadian Truck King Challenge winner. The available EcoDiesel engine dominates with Best-in-Class 420 lb-ft of low-end torque and makes the Ram 1500 the only half-ton pickup in the industry to offer a diesel engine. Talk with one of our representatives today, and learn why vehicle buyers come from Calgary, Lethbridge and Claresholm for a shopping experience at Davis Dodge. The centre floor console provides easy access to the media hub to connect your personal devices. 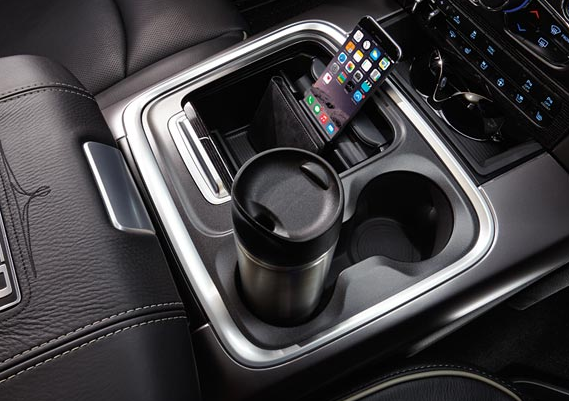 The all-new available centre console bin incorporates a smartphone/tablet holder with moulded insert to fit devices of various sizes. Longhorn and Limited models feature the new double-stacked centre console with full-leather lid and wood tambour sliding door. Configure the seating that works best for you. A heavy-duty vinyl 40/20/40 front bench seat comes standard, with cloth and leather available. Premium leather-faced and full-leather front bucket seats with 10-way power driver's seat including 2-way lumbar adjust are also available, along with a 60/40 split-folding rear seat and heated front and rear seats. Behind-the-Seat Storage – Standard in Regular Cab to store longer items. In-floor storage – Standard in Crew Cab models. Using infrared sensors, this available feature lets the driver and front passenger set their own temperatures. The system automatically maintains each side individually for exceptionally smart comfort. This Segment-Exclusive feature is extremely ergonomic and improves on the conventional way of shifting. Simply turn the large dial located on the instrument panel to select a gear and off you go. It comes standard with the TorqueFlite® 8-speed automatic transmission. Every moment spent in the Ram 1500 is done with smart and convenient features. It offers power-adjustable pedals, heated steering wheel with audio and cruise controls, 10-way power driver's seat including 2-way lumbar adjust, memory settings, power sliding rear window and express power sunroof to name just a few. To satisfy the most discerning truck enthusiast, the interior of the new Ram 1500 Rebel puts you in heavy-duty technical grain vinyl Radar Red seats with black Toyo tire tread embossed inserts and Light Diesel Grey accent stitching. The all-black instrument panel is complemented with anodized Radar Red trim that's also found on the doors, vents and all-new console bin. The centre stack is finished in Iron Grey Metallic and the Rebel badge is tastefully worked into the design throughout. The powerful and aerodynamic lines unite form and function, and the signature forward-leaning grilles will never be mistaken for any other truck. Shine brightly with available premium bi-functional projector headlamps and LED taillamps, both available with chrome surrounds. The new Rebel is the boldest model offered, and the Laramie Limited has been redesigned with new exterior design cues and first-class luxury inside. It was already one of the most impressive truck lineups out there, and it just got better. The all-new Rebel and redesigned Laramie Limited models bolster a team that already includes models like the value-packed SXT and striking Sport with its bold monochromatic exterior and 20-inch wheels. The Ram 1500 features a wide selection of wheel sizes and styles to complement its bold 'big-rig' design with 17-inch and 20-inch sizes, along with finishes that include aluminum, chrome-clad aluminum, polished forged aluminum with painted accents, and semi-gloss black aluminum. The bold lines are shaped in the wind tunnel to maximize aerodynamics. 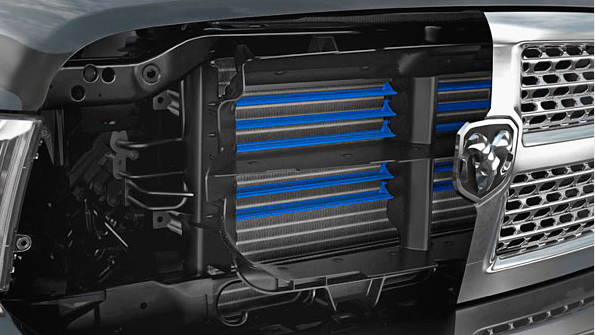 This reduces wind noise and improves fuel economy. This is accomplished with aero-shaped mirrors, available Active AirTM grille shutters that close at highway speeds to reduce drag, and a parabolic front end available with carefully sculpted fog lamps. Even the available wheel-to-wheel side steps are designed to be aerodynamically efficient. 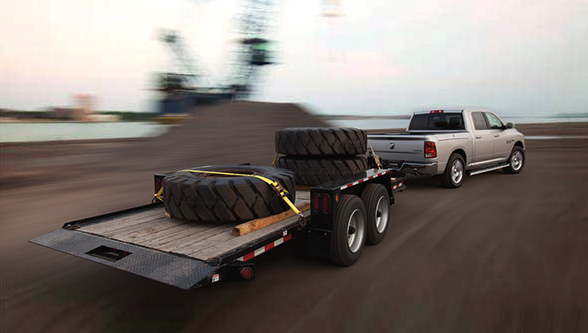 The available RamBox® Cargo Management System is an innovation you can't get on any other truck in the class1. This remotely lockable and weatherproof storage space with new LED box lighting is perfect for things like power tools, and saves your interior from becoming a locker space. It also includes a bed extender/divider for greater capability. This available dual rear exhaust with chrome tips is integrated into the high-strength steel wraparound rear bumper. In addition to looking good, they also boost engine performance and produce an aggressive exhaust note. The new Rebel is so bold, you can feel it. Available exclusively as a Crew Cab model, your eyes will gravitate to the front Billet Silver Ram badge contrasted by a blacked-out Rebel grille. The rear features a 20-inch, blacked-out “RAM” stamped tailgate badge, while other bold design cues like black bezel taillamps and lower two-tone paint solidify its aggressive persona. The Rebel also gets a 1-inch factory suspension lift and 17-inch silver and black cast aluminum wheels wrapped in 33-inch Toyo Open Country all-terrain tires. Under the twin-snorkel sport hood, choose either the 3.6L PentastarTM VVT V6 or 5.7L HEMI® VVT V8. The 2016 Ram 1500 is Canada's most fuel-efficient pickup with fuel economy as efficient as 8.0 L/100 km (35 mpg) highway. The federal government implemented a new 5-cycle test method to replace the 2-cycle method. It now takes into account air conditioner usage, cold temperature operation, and higher-speed driving with more rapid braking and acceleration for more realistic numbers. While the 5-cycle fuel efficiency ratings are different than the 2-cycle ratings, actual fuel efficiency has not changed. Tow up to 10,640 lb (4,826 kg) and haul confidently with a payload of up to 1,890 lb (857 kg). The Ram 1500 comes standard with a 4- and 7-pin wiring harness. An integrated Class IV hitch receiver and Trailer Brake Control system are available. The Ram 1500 is designed with towing capabilities that are compliant with the Society of Automotive Engineers J2807 towing standard. It outlines performance requirements for Gross Combined Weight Rating and Trailer Weight Rating to reflect real-world conditions that truck owners will likely experience. This standard suspension delivers tough capability without sacrificing comfort and handling. The coil springs and heavy-duty shock absorbers combine for a lightweight design that soaks up bumps and provides more resistance during jounce (upward wheel motion) and rebound (downward wheel motion), to keep you in control. The 4-HI setting locks both drive shafts for extra grip and pulling power to give you confident handling on slippery, wet and loose terrain. For more challenging conditions, 4-LO provides a 2.64:1 gear reduction ratio for power and grip to climb over difficult obstacles. 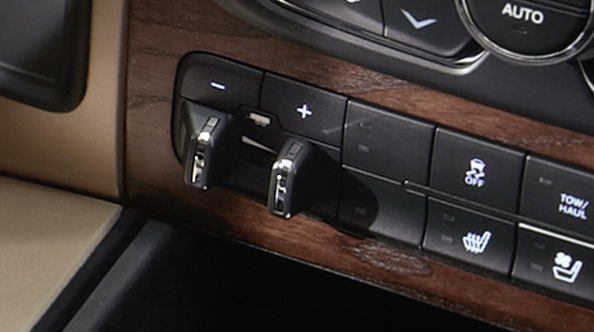 An available electronic shift-on-demand transfer case lets you select your desired 4x4 setting with the simple push of a button. Motor Trend put the Ram 1500 against the Ford F-150 and Chevrolet Silverado in a 2015 half-ton shootout. On a 400-km stretch across California and Arizona, acceleration, braking, grip, towing, payload and fuel economy were pushed to the limits. When it was all said and done, Associate Editor Scott Evans wrote: "In the end, the Ram EcoDiesel's excellent ride quality both loaded and empty, torquey engine, smooth and intelligent transmission, ease in towing, comfortable and refined interior, and best-in-test fuel economy proved the winning combination." When a Ram truck is being designed, it is subjected to things far worse than you'll ever dare to attempt. From the testing chamber to gruelling on-road trials in conditions ranging from 49°C (120°F) deserts to -29°C (-20°F) arctic climates, it's nothing but brutal. In the end it's all about delivering a truck that exceeds your expectations. It must perform to set benchmarks and deliver capability to stand the test of time. 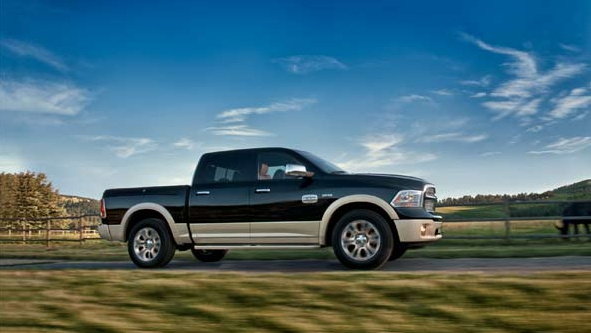 That's why only Ram can lay claim to Canada's longest-lasting line of pickups. This system senses when a trailer starts swaying and automatically reduces engine power and/or applies individual brakes to bring the trailer back into line. It comes standard on Ram 1500 and is part of the Electronic Stability Control system. For easy hook-ups, every model includes a 4-/7-pin trailer hitch wiring harness and connector with a convenient plug-in integrated into the rear bumper. It is located next to the license plate light for an illuminated view at night. Get all your vital vehicle data like temperature settings, fuel economy, trip info, cruise control, trailer braking, vehicle status and engine performance all front and centre. This available system is integrated into the instrument cluster and an intuitive "roller menu" provides easy access via a toggle on the steering wheel. Step up to the available Uconnect® multimedia centres that put you in control of your entertainment, vehicle systems and smart devices with either a 5- or 8.4-inch touchscreen. It includes hands-free communication19 with Bluetooth® streaming audio so you can control your music, smartphone and available premium navigation8 with just your voice. New features for 2016 include Siri Eyes Free for natural language voice commands, Drag and Drop so you can organize your apps like on a smartphone, and Do Not Disturb, which can automatically send calls to voicemail or reply with a pre-set text message. The available Park-Sense® Front and Rear Park Assist System features 6 sensors up front and 4 in the rear to detect obstacles in your path, and sounds an audible chime that increases in intensity as you get closer. 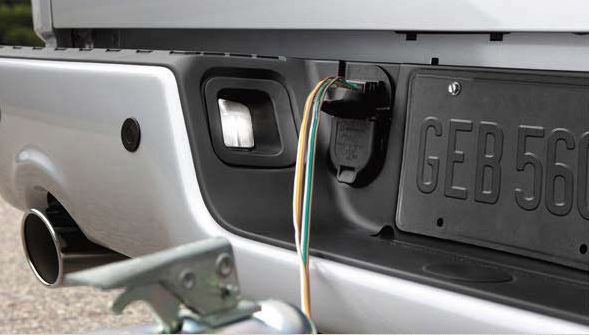 Add the available ParkView® Rear Back-Up Camera10 for even greater confidence while reversing. The available ParkView® Rear Back-Up Camera gives you a clear view out back in the rearview mirror. When equipped with either the 5- or 8.4-inch Uconnect® multimedia centre, the image is displayed on the touchscreen and provides dynamic grid lines to help steer you safely into position. The Active AirTM grille shutters automatically open and close behind the front grille to deliver the least amount of aerodynamic drag based on driving conditions. Packaged with the TorqueFlite® 8-speed automatic transmission, this feature helps improve overall fuel economy. An Alpine® audio system is available for those who want to take their music to the next level. With 10 speakers including a dual voice coil subwoofer, 7.1 surround sound amplifier and 506 watts of power, it is literally music to your ears. This feature optimizes braking and helps you maintain stability while towing by modulating the trailer's braking system in relation to the vehicle. It is factory-installed and a display in the instrument cluster informs you when it's in operation. Take a look at the Ram 1500 today!